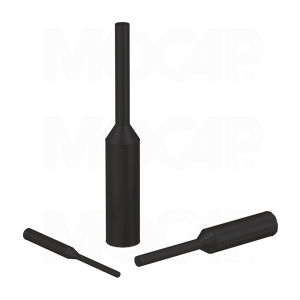 MOCAP EPDM Rubber Pull Plugs are stocked in many sizes to fit your specific application. EPDM rubber product pull plugs are chemical resistant and good up to 149°C (300°F) and can be re-used in many applications. Available in sizes to fit 4-40 through 1/2 standard threaded holes and M4 through M12 metric threaded holes.